I cannot believe it is already October! I am still working on balancing being a teacher and a mom three. My poor blog has really taken a backseat this past year! 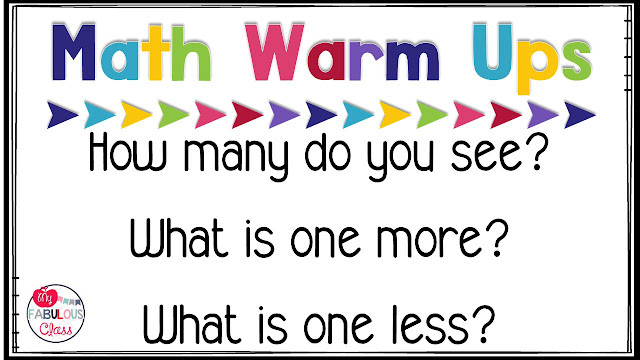 I am excited to share with you how I do math warm ups in my room. I start every math lesson with a little warm up to get our brains going. I flash a card and ask students how many they see. 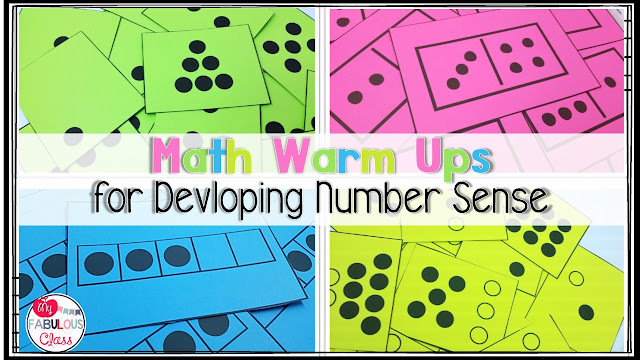 You can flash dot cards, ten frames, or dominos and ask students how many they see. This helps with building number sense. Seeing quantities arranged in various patterns is called subitizing. 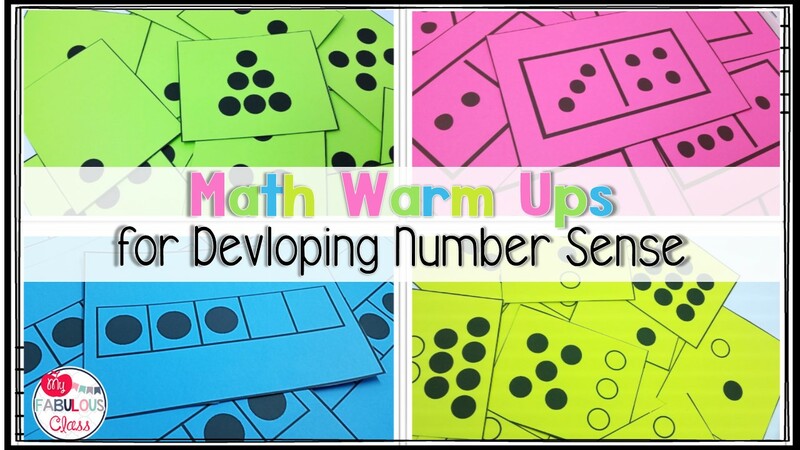 This is essential to teaching math. We have recently started working on one more and one less so after I ask them how many they see, I ask for one more and one less. The fun part can be in the answer. If you use Eureka or Engage New York, you know there is a special way to count. I have students place their fingers in the correct form next to their head. We call the moose ears. I also created these stars. 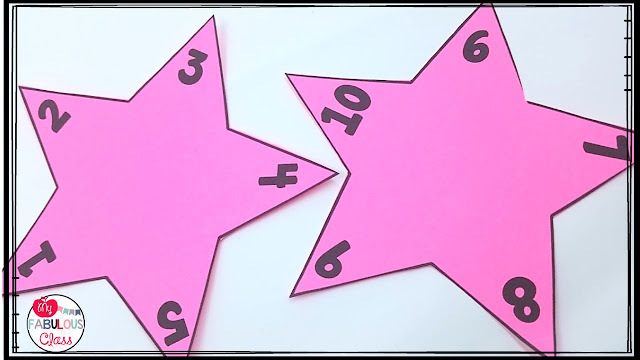 Students can hold it with the correct number above their head to indicate how many dots they saw. You can get the stars FREE HERE. 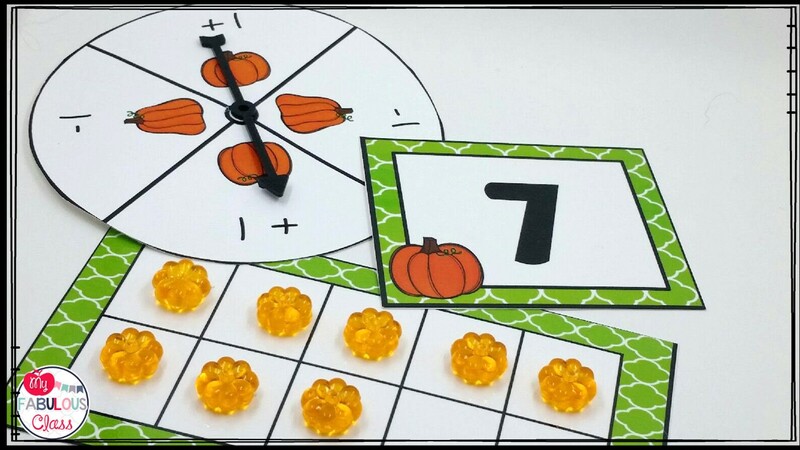 You can also have students build the number on a ten frames. 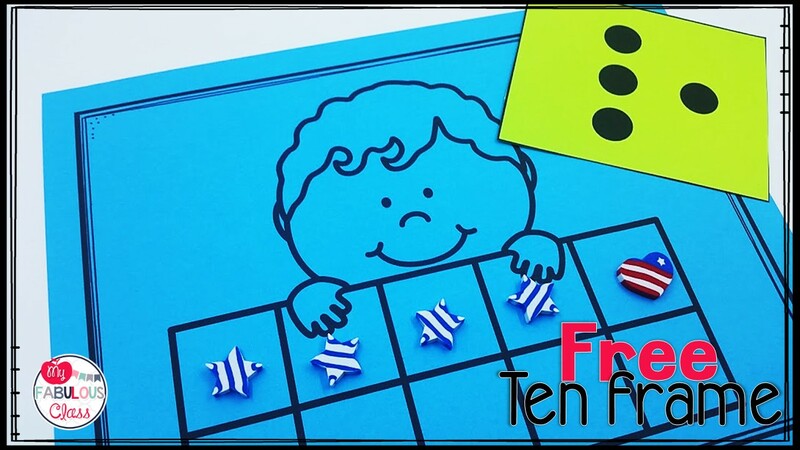 You can get this ten frame FREE in my Math Kit. I have some great Fall Math Centers that also hit on these same standards. 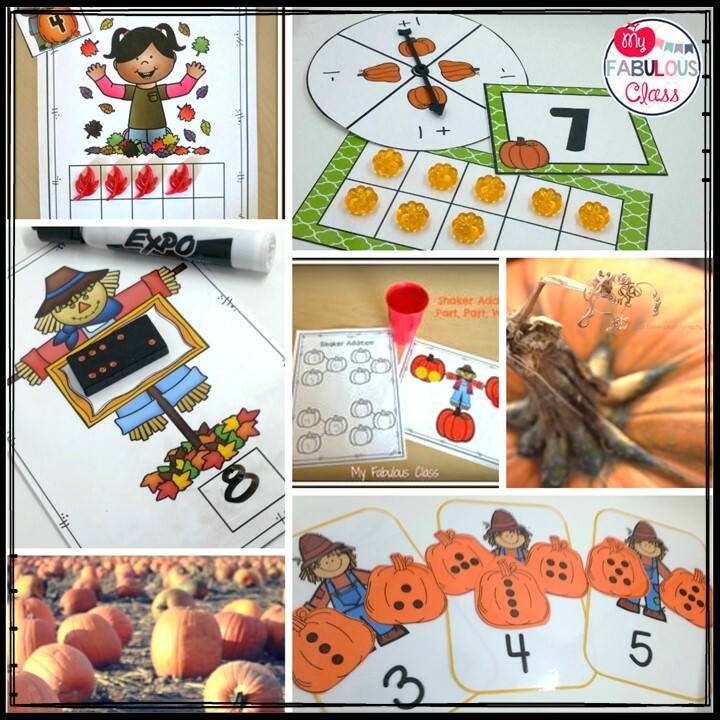 These centers are perfect for September-November. 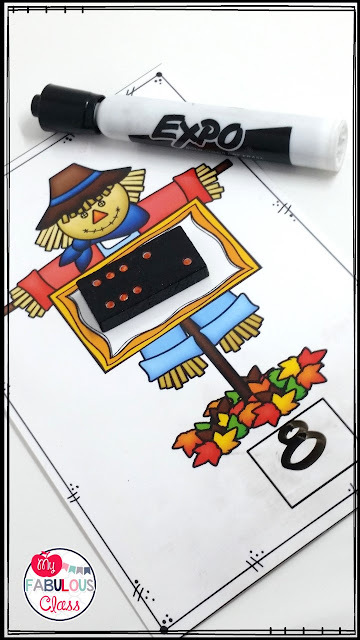 How cute is this domino scarecrows? This is a class favorite. 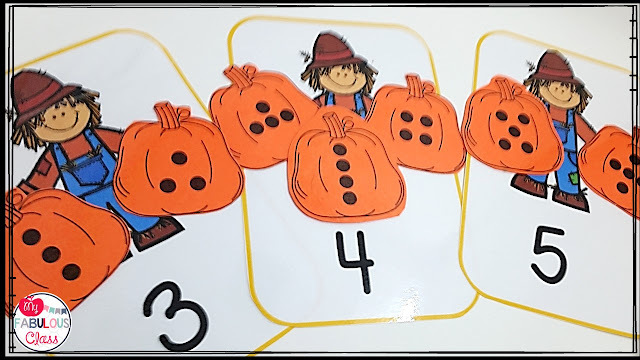 There is also an addition/subtraction version for differentiation. If you have any of my math centers, you know I love subitzing. These scarecrows with pumpkins are no different. We recently started working on one more and one less. This spinner and ten frame activity is a great way to reinforce it. Awesome blog posting. Novel ideas and really resourceful. Almost all topics under one roof. Expecting more blogs like this now and always.